Ulna Thos – Shadar-Kai Artificer. Giver of Life, Bearer of Pain, Servant of Sharess. All the healing she gave was at her own expense, drawing the pain of others into herself. Class, subclass, build, kit, theme… just what goes into defining a character’s class? What do we gain, and how best can we reflect commonalities and differences between the different varieties of classes in the game? What should D&D Next do? What is behind Legend & Lore’s article on subclasses? Legend & Lore states that the definition of a subclass can vary: “Each class will have a different take on what a subclass actually represents to it.” The cleric subclasses are based on deities. The wizard on tradition. The fighter subclasses would include “warlord, knight, samurai, gladiator, or scout”. The rogue would have “assassin, the thief, and the vagabond”. An important first point is that this isn’t (or shouldn’t be) about taxonomy. We can easily argue that a ranger could be a type of fighter. We could argue that a ‘pirate’ could be a type of thief or that it is actually a type of fighter. That should not be our goal, because taxonomy doesn’t bring anything to the game. We don’t choose to play something due to its hierarchy – we choose to play something because the concept speaks to us. Whether a Pirate is its own class, a fighter (or rogue) subclass, a theme, a kit, a package of feats.. that answer isn’t really the goal either. The goal is for the game to help players easily find the iconic concepts they want, while having the flexibility to stretch beyond that. Every possible system will involve different tradeoffs. In AD&D the term subclass was used, but the term was really just taxonomical. The ranger was a subclass of the fighter, but it functioned as its own separate class. In 2E, you could optionally select one kit. Kits, found in various Complete sourcebooks, ushered in an additional granularity to classes, including packages of weapons and the beginning of various stacking effects (later seen in Skills & Powers and in 3E). Campaigns using kits (or S&P) could feel very different than those not using them. Whether that was positive or negative was a hot topic for many groups (and online). Kits often varied in quality, lacking a common foundation to ensure balance. As a result, players usually chose for power/benefits rather than concept. 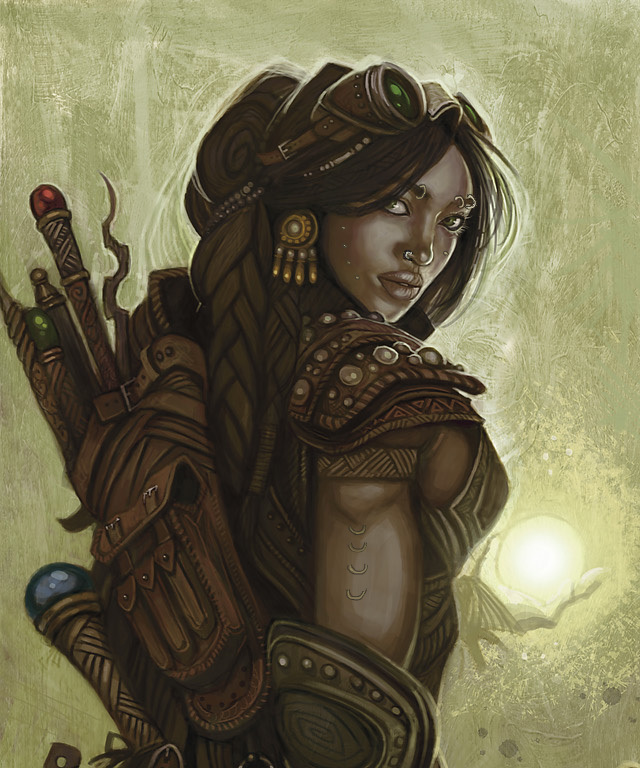 3E largely achieved differentiation through feats (“I want to be a chain-fighter, so I take these feats that reflect and allow that”) and Prestige Classes (“I want to be an arcane archer, allowing me to place a spell on my arrow”). A tremendous amount of customization was possible. A cleric might not cure at all, fighting in melee with as many attacks as a ranger and hitting harder than some fighters! A fighter could be very different – the fighter class almost lost meaning, being defined almost entirely by feats. Prestige Classes often were dominant – players didn’t say they were a cleric, they were a Radiant Servant (and practically no other cleric prestige class was chosen!). In 4E, each class had Builds. Builds were often a set of choices around class features, but they tended to be new insights or play styles rather than iconic concepts. A warlock’s choice of pact had fundamental differences (such as the preferred attribute). A swordmage used very different means of enforcing its mark. A warlord provided very different benefits on an Action Point and might have differences in equipment (i.e. all ranged). All builds had access to class powers, but in some cases the build caused a focus on certain powers (a bard using an implement would not generally take weapon-based bard powers). 4E offered a tremendous array of classes. Each one had a very iconic feel. Builds didn’t really take away from that, though it could be confusing from a team perspective – “wait, what happens when I Action Point again?” Balance was a strong suit – generally, all builds were roughly equal in power across all pillars of play. 4E also provided themes. Themes at times resembled kits (but on a more balanced foundation), and at times simply felt like great backstory with a few benefits. Paragon Paths and Epic Destinies often felt like Prestige Classes. Other times they resembled builds, greatly coloring how a class would operate. Each system has tradeoffs. So far, D&D Next has seemed to fight over these concepts. The druid has two choices, primarily around better spells or more wild shape forms. The result is a fairly significant difference in approach, similar to a 4E build. Few would argue that anything is significantly lost – both feel like a druid. The monk is the same way – it resembles the 4E choice of builds in many ways. Legend & Lore has mentioned other possibilities. The D&D Next Druid largely takes builds and makes them subclasses. They still function as builds. What happens when we take a class and turn it into a subclass? Let’s play with the paladin. Taxonomically we can argue it is either a subclass of the fighter (a warrior empowered by divine calling) or the cleric (a priest that embraces war to serve the deity). Let’s go with fighter and give that decision teeth. 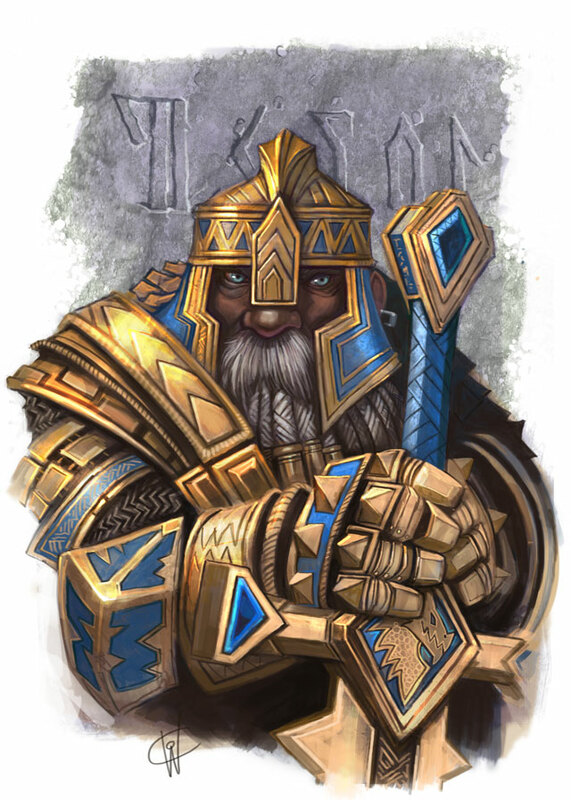 If we take a look at the 4th level D&D Next paladin, we see several class features (Channel Divinity, Divine Grace, Divine Sense, Oath, Spellcasting, Aura of Protection, Aura of Courage). These features help define the paladin, giving it the iconic feel it needs to feel complete. The fighter instead has different features (Martial Feat x2, Expertise (2d6), Death Dealer, Superior Defense, Unerring Attacker). The two classes also have other potentially different underpinnings (Ability adjustments, armor/weapons, hit dice, attack bonuses, etc.). It is one thing to say taxonomically that the Paladin is a type of fighter. When we try to make the paladin a subclass, we need to start making tradeoffs. Which features should the Paladin keep? And how do we do that? Do we take the fighter’s Martial Feat and allow a fighter to pick instead 1-2 of the Paladin’s features? If the features are Channel Divinity, Divine Grace, Death Dealer, Superior Defense, Aura of Protection, Unerring Attacker… do we have a paladin? Or do we have a bit of both? If you loved playing a Paladin, will you be disappointed? And, we chose to make the paladin a fighter. Presumably, we want to make that useful, by knowing that all fighters share common features… but which ones? What is an iconic fighter, and how do we retain enough of the fighter without losing what defines a paladin? The warlord is just as tricky. We can look at the 3E Marshal, but that class wasn’t particularly well regarded. 4E’s warlord was pretty iconic, and is often held up as an example of 4E at its finest – all despite having several different builds. A warlord’s features include providing a strong benefit to each other PC roughly every other battle (when the PC uses an action point), providing an initiative or other start of combat benefit, and healing in a manner similar to a cleric’s class feature. In addition, warlord powers had a very clear feel, either providing a bonus based on a melee attack (I hit it, now when you hit it you get a bonus) or trading an action (instead of moving, all of you move; instead of me attacking, you attack). A player would select the class features and powers to create their vision, but all of them felt like a warlord. Feats rounded out the experience. If we make a D&D Next warlord a subclass of the fighter, what do we keep from each class? We quickly hit the same issues as we did with the paladin. We might drop the two Martial Feats, but that also means we can’t easily have an archer warlord (which was a type of 4E build). We can drop and trade features, but we are giving things up within the limited space of class design. Because Next doesn’t have powers, a lot of the 4E definition could be lost. A level 4 Warlord that provides an initiative bonus, provides a bonus to attack every other combat, heals, has some ability to move allies and grant attacks… we rapidly end up with a new class rather than a fighter. If we drop some of those abilities the experience becomes less iconic. The same would be true if we were dealing with other 4E Classes. A Warlock was a very defined experience in 4E. It wasn’t a type of wizard, any more than a warlord player felt like they played a fighter (very few felt that way). Most of the classes present in 4E don’t easily become builds/subclasses. A substantial problem occurs if we try to mix and match features. Let’s say the fighter gets to make a few choices. At level 1 we can select to give up Death Dealer and get Inspiring Word. I can also drop the Martial Feat and get a granted attack option once per round. At level 4 I might choose between Unerring Attacker and granting an initiative bonus. On the surface, that might look as if it starts to let me build a warlord. In practice, however, it dilutes the iconic experience. As some players select Death Dealer and others Inspiring Word, the definition of ‘Warlord’ becomes watered down. We might see a fighter that in most cases is a fighter, except it can heal. Another is only taking the initiative bonus. Inevitably, those of us that like to optimize have a field day picking and choosing – but not because we are creating an iconic vision of a subclass. Another way we can dilute the experience is to try to provide a variant of every class. We can try to create a duelist version of every class, especially rogue and fighter. We can try to create a healing/leader version of every class. I don’t favor that. We would again water down the experience by taking away from iconic elements. Instead, we can use something like themes or Paragon Paths / Prestige Classes to capture those elements. A theme can make any class a duelist, a gladiator, or alchemist, but without diluting its own class or taking away from other classes. When a subclass is a build, we don’t experience issues. A beast druid works well as a type of D&D Next druid. When a subclass is trying to replace a class, we encounter issues. The more design flexibility we provide (selecting either fighter or warlord subclass features, for example), the more we end up diluting the class. The more we try to represent the parent class (creating an iconic fighter within every fighter subclass), the more we limit how the subclass can accurately attain its holistic vision. The more the subclass is a complete replacement of a class (if we try to capture the warlord as it was), the more we lose the original class vision and the subclass could have just been a different class. I want a model that reflects my original goal (providing iconic classes with which we can identify). The best way to do that is to not create a system where the subclass and class are at odds with each other. Subclasses are builds. In almost all cases, subclasses should resemble 4E builds. They should be simple variations in how we play, but the subclass should undeniably provide the class experience. A warlord has not and should not be the same as a fighter. They have taxonomic resemblance, and they can both be martial, but they provide different experiences and should have independent features. Provide something optional similar to Themes. Themes worked well as an additional level of character definition beyond the class. Broad concepts such as swashbuckler, drow renegade, and vagabond work best through themes. These could perhaps combine the concept of a Prestige Class or Paragon Path, extending (or replacing) the experience over time. One of the Legend & Lore columns had discussed the possibility of a theme/specialty evolving over time. I rather like that as an option. Preserve popular iconic classes. Warlock, Warlord, Swordmage, and many others were not played as subclasses. They had their own iconic feel and deserve to still provide players that experience. This entry was posted on October 20, 2015 by Alphastream and tagged 2E, 3E, 4E, 5E, Character Building, Playtesting, RPG History.